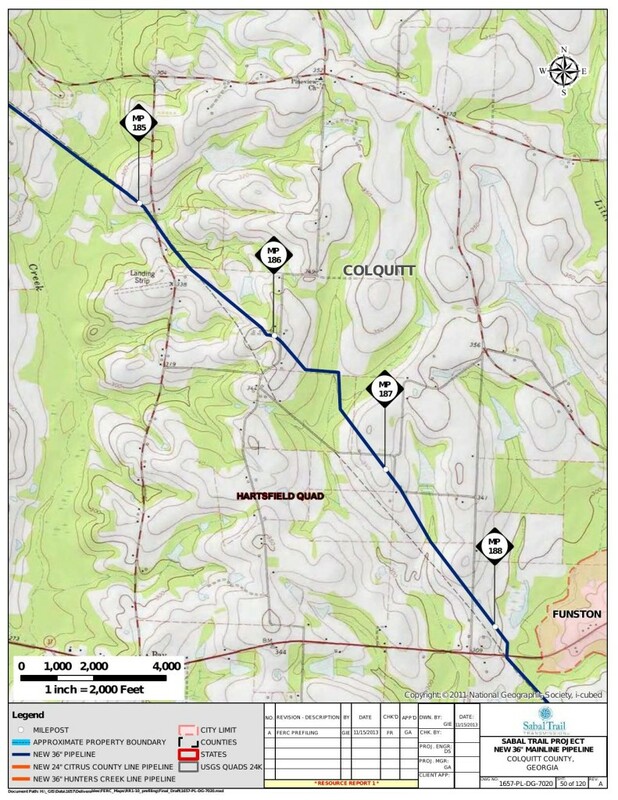 Colquitt County landowner Irvin Allegood came to the do-over Sabal Trail Open House in Moultrie 27 January 2014 so he could tell FERC he wasn’t going to allow another pipeline. He wasn’t the only one, but he especially wanted video, so here he is, talking to John Peconom of FERC. …the existing pipeline comes through the front corner. I just don’t think that they should be allowed to, basically, to deface my property. …losing that road, if they put two pipelines on my property. Their first suggestion, was they would destroy… as far as my property was concerned. all of the wooded area. There’s old growth pines in there, the run of a creek. We’re just not going to allow that to happen. If they put it on the other side of the existing pipeline. I’ve been planning to put my shop out there when I retire in a couple of years. Moultrie, Colquitt County GA, 27 January 2014. 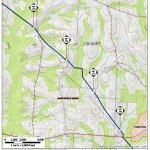 FERC rep. John Peconom then wanted to be sure to get the spelling of Irvin Allegood’s name, and where his property was. It wasn’t on the map hanging right there, so they looked at the maps on Peconom’s laptop. Peconom had no direct response to the basic point of the pipeline defacing property, or tearing down trees. Hm, see that 90 degree jog in the middle of the map? Who did that go around? And how do we go around this whole methane pipeline distraction and get on with solar power for local jobs, energy, and lower electric bills right here where we need them?